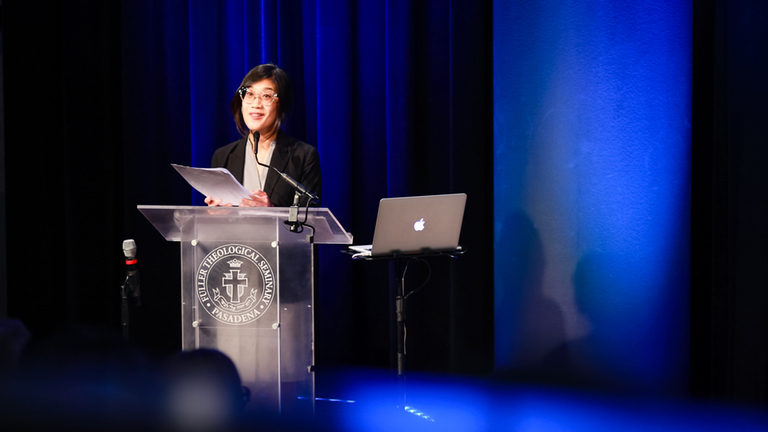 + Joyce Lee, assistant professor of digital media at Marist College, lectures on the growing contemporary art world in China, the complex commercial and political forces that have shaped it, and implications for the Christian church. The Fuller Missiology Lectures is an annual conference held by the School of Intercultural Studies. Its 2018 theme, “Global Arts and Witness in Multifaith Contexts,” explored the role of the arts—song, dance, drama, narratives, and visual arts—as a means for cross-cultural understanding and new opportunities for Christian witness in multifaith contexts. The conference was hosted by Roberta R. King, Professor of Communication and Ethnomusicology; William A. Dyrness, Senior Professor of Theology and Culture and Dean Emeritus; and Amos Yong, Professor of Theology and Mission and Director of the Center for Missiological Research. + Diane Obenchain, director of Fuller’s China Initiative and professor of religion, responds to Joyce Lee’s lecture. 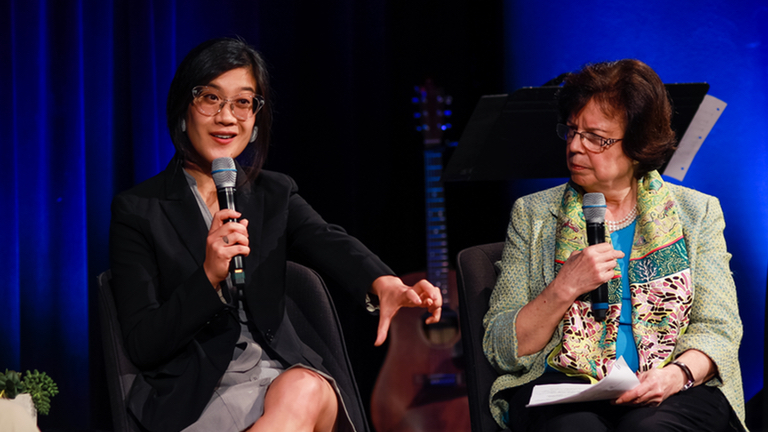 + Joyce Lee, assistant professor of digital media at Marist College, and Diane Obenchain, director of Fuller’s China Initiative and professor of religion, reflect on developments in contemporary art, self-expression, and religion in China. They are interviewed by William Dyrness, senior professor of theology and culture and dean emeritus of the School of Theology.